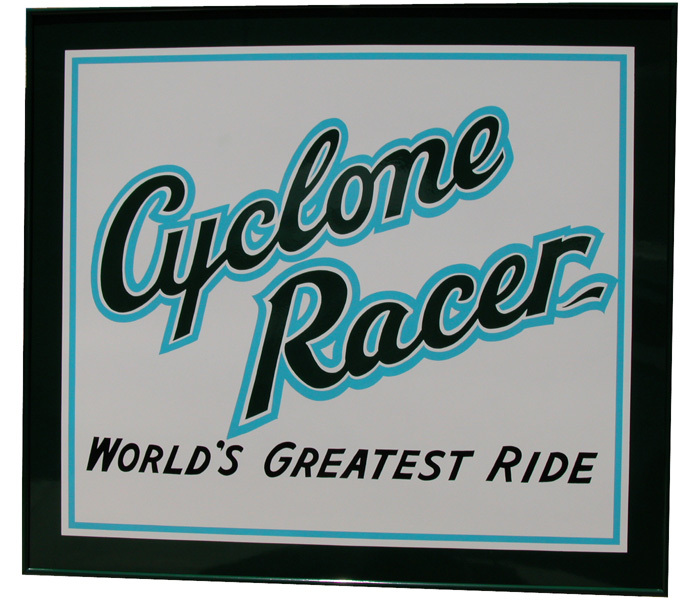 September 15, 2008 is the 40th anniversary of the last ride abroad the world famous Cyclone Racer. first artifacts from the ride that have literally been brought back to life in full scale with amazing accuracy. The re-creating process took over 4 months and all signs are hand painted. Barns Sign: There were 2 each of these. They were located on each side of the station at the top of the ramp and nailed to the front of the train storage barns. This sign dates back to around 1939. 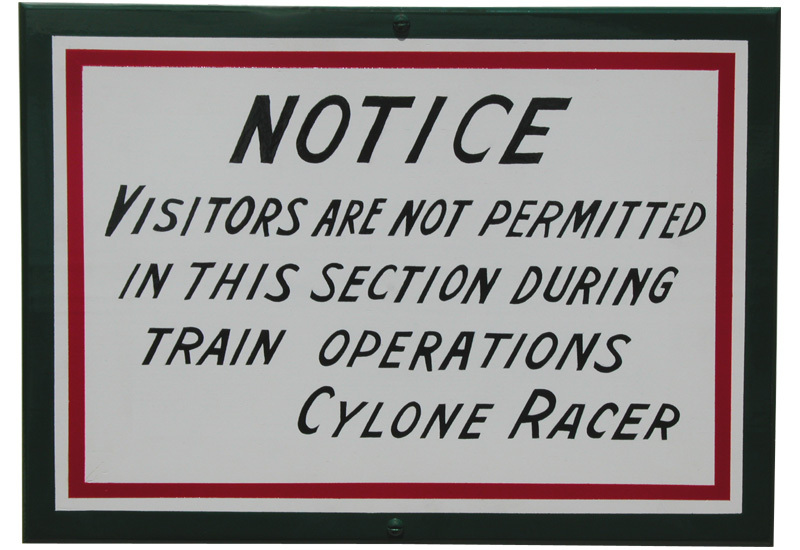 The famous "Cylone" Sign: This was located on the east side of the station right behind the back operator podium. 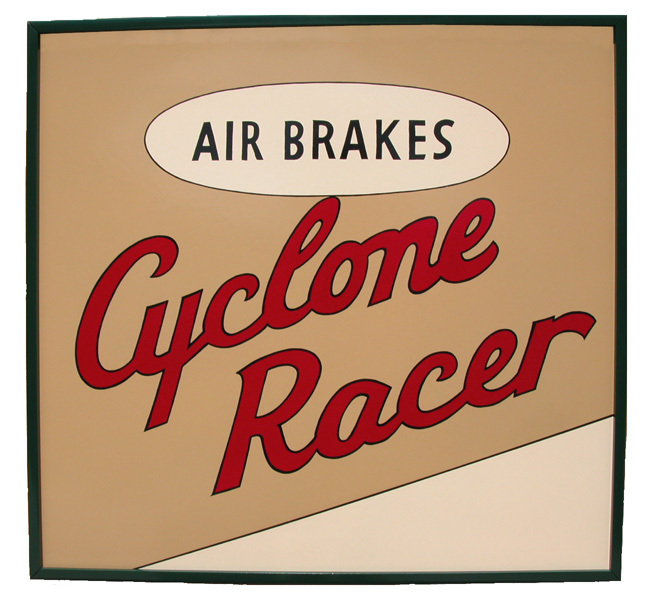 The interesting mention about this sign is the misspelling of "Cyclone." Podium Sign: There were 4 of these signs, one each installed on the front of the four operator's podiums. This sign dates back to around 1939. Rear Station Sign: Was located all the way back in the station up near the rafters. This sign originally had the lettering painted red and was repainted in black sometime before 1957. Copyright 1998-2013 CLASSIC COASTERS Los Angeles, California All Rights Reserved.